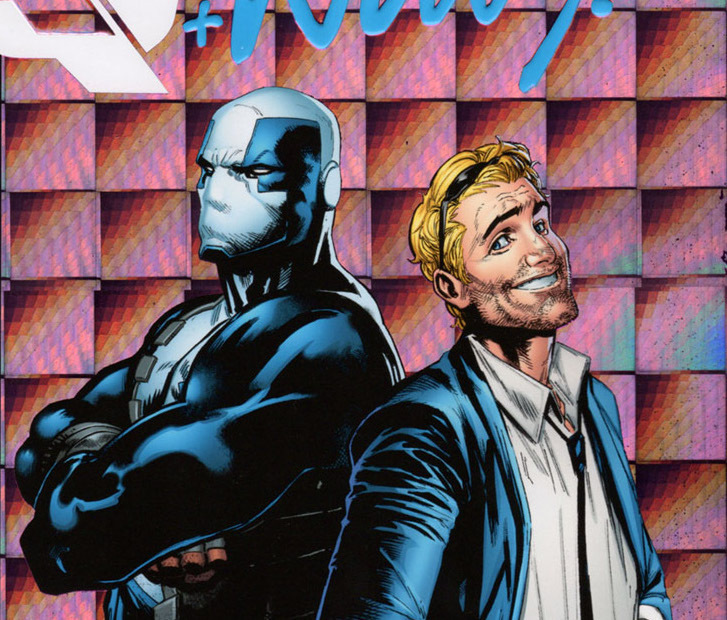 Quantum and Woody #4 Review – AiPT! Valiant’s most famous brothers get one step closer to finding their dad. NBD! Quantum and Woody are brothers, but they’re not on good terms. Last issue focused on a flashback when they were loving brothers. Cut to this issue where they are being forced against their will to do the bidding of an evil genius. Something tells me that’s not going to help them make amends. Writer Daniel Kibblesmith has proven this series is a good mix of comedy and action. He’s continued the tradition of bringing them back with a good amount of humor thrown on top. The art by Kano has been eye catching to say the least. Australia is filled with freakish creatures. This issue puts the pedal to the metal progressing the plot and fleshing out the villain. By the end the stakes are clear, the buffoonery of Woody is in full effect, and these characters may never be the same again! Kano continues to mix up the layout designs in ways I’ve never seen before. Take a big meeting between Woody and long-lost family member. On the right is the old man from an angle looking upon him, on the left is Woody in a similar style and then between them is empty panels. This layout helps divide the characters and show there is space between them. As we move down the page we get a close up of both which leads to a whopping punch. How the panels are laid out does a lot to tell the story and this is just one of many interesting choices. Kibblesmith is quite good at mining little bits of comedy in scenes either via Woody’s annoying personality or Quantum’s deadpan delivery. A surprisingly funny second scene has government agent types questioning a security guard for hilarious effect. The agents are stone cold and deadly serious while the guard is acting about how anyone would in the circumstances. It’s like if a normal person encountering actors in a movie. It’s over the top and worth a laugh. Do they really play music there or is it a villain’s lair? This is one of those customary penultimate issues (the conclusion is next issue) that saves the action and big twists for the last chapter. That means scenes of downtime for the heroes who either prepare or wait for something to happen. The exposition for the villain is a little too late, being forced in to make the character matter for the next issue. It’s all still enjoyable, but it drags things down a bit. This is a good penultimate issue that continues to show how inventive Kano can make the art while Kibblesmith drops jokes in for our pleasure. The story arc is coming to an end and there are adequate stakes in play to make us all come back for more. A good penultimate issue that sets things up for our finale well.